Sometimes we all run into musicians that you just can’t help but root for and admire. Colleen Clark, to me, is one of them. Clark joins the growing rank of talented female drummers (ala Emmanuelle Caplette) who are changing the face of music and along those lines, Clark recently put out her first album simply entitled, Introducing Colleen Clark. 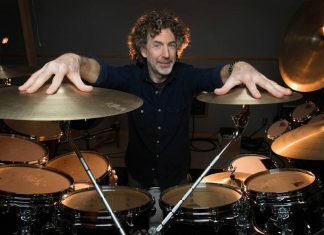 Besides being a teacher and sometimes Ithaca College faculty member, Clark, an accomplished jazz based drummer and percussionist, composed all the tracks on the album. (Clark is also an alumnus of SUNY Purchase where she received her master’s degree and she studied with the multi-talented John Riley (Woody Herman Band amongst other credits)). Joining Clark on the record are producer (and marimba player/educator) Gordon Stout (also a member of Percussive Arts Society’s prestigious Hall of Fame) and engineer Brian Dozoretz. Dozoretz, among other things, has been nominated numerous times for Grammies and he is also the manager of recording services at Ithaca College’s School of Music. Clark’s resume is impressive: She has performed at some of New York’s prestigious venues including Sounds of Brazil, Smoke Jazz Club, 92Y, The Iridium, Smalls Jazz Club and, the Birdland Jazz Club. Clark has also appeared live on the Fox News Network and at the Jazz Educator’s Network Conference with headliner, Bria Skonberg featuring Wycliffe Gordon. In terms of associated acts Clark has performed with Chuck Israels, Rolando Morales-Matos, Helen Sung, Gilad Hekselman, Bria Skonberg, Gordon Stout, Ted Piltzecker, Young- Joo Song, Sharel Cassity, Nir Namaan, Wycliffe Gordon, Ulysses Owens Jr., and, Glenn Zaleski, amongst others. Clark was also commissioned by Ithaca College to orchestrate her own, “Pyrotechnics” for Jazz Quartet and Concert Band and Millersville University commissioned her to write a new drum-set concerto for a percussion ensemble. In April 2015, Clark’s new Concerto for Vibraphone will be premiered. The musicians joining Clark on the record are Sharel Cassity (alto saxophone), Nir Naaman (alto saxophone), Jay Rattman (bass clarinet & soprano saxophone), Bria Skonberg (trumpet & flugelhorn), Young-Joo Song (piano), Alex Wintz (guitar), and, Dave Baron (bass). The first track, Happiness is Fast & Slow, features some wonderful accenting and tom work by Clark along with a very tasteful trumpet solo by Skonberg. Underlying the track is some wonderful piano work by Song. Take 2 offers a delightful jazz arrangement with great horn work and it also features nice guitar work by Wintz. Clark also has an interesting style of playing in front of and behind the band which adds a unique touch to the feel of this song. Scaling, the third track on the record, is more typical of a big band feel which also features great sax work and a superb trumpet solo by Skonberg. The fourth track, aptly titled La Tristeza, is just what it says (in Spanish, “tristeza” means sadness). This track features wonderful brush work by Clark. The next track, La casa que nos separa, features some very good backsticking work by Clark and an interesting back and forth between Baron (stand-up bass) and Clark. The first half of the next track, Pyrotechnics, offers some very interesting patterns and feels away from some of the more traditional jazz patterns that Clark performs on the record. However, half way through the tune the composition lets loose into a nice give and take with piano and bass with somewhat more of a traditional jazz feel. This particular track cooks. Terminal 3 offers a warm feel and is a nicely written composition. Here, Clark shows here melodic writing abilities. Also featured is some wonderful bass work by Baron. 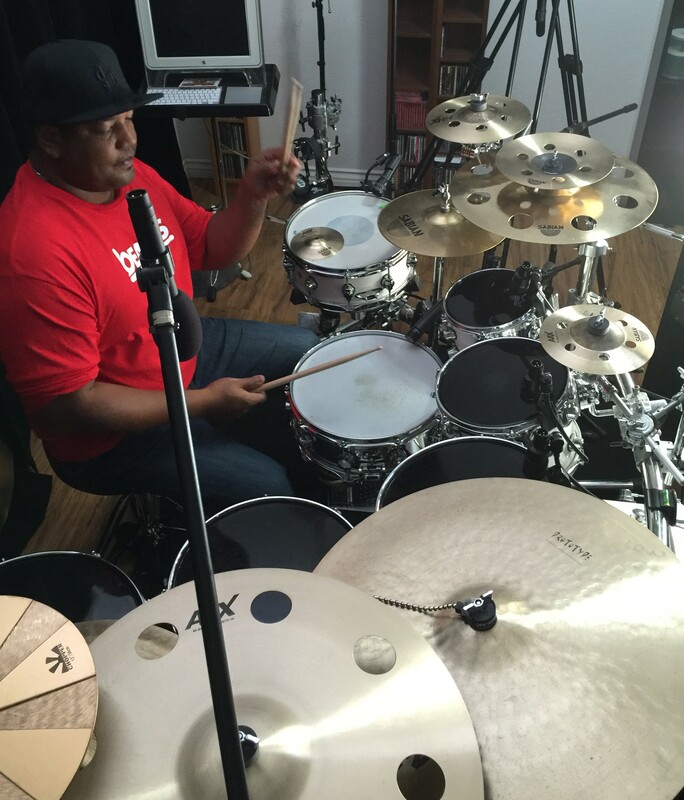 Fresh, the final track on the album, offers a nice melody and shows off Clark’s compositional abilities. The track is a fine ending to this wonderful album. Overall, what I really liked about this record is the leading feel of Clark’s drumming ability, amongst other things. Clark is a very complimentary player and she employs very tasteful and appropriate fills. She always seems to consistently employ cues that nicely lead the band into segways much like a conductor would. Her guiding hand is evident throughout the record; both as performer and composer. However, that is not surprising because the compositions throughout are well written and they make for excellent listening. Any person who appreciates jazz playing will love this record. Clark shines here and she has set the bar high by gathering some excellent musicians to perform her well written compositions on Introducing Colleen Clark. I myself cannot wait for the next chapter. Nice work Colleen.